Privacy – Keeping things out of sight of others. e.g. people, confidential documents and valuables. 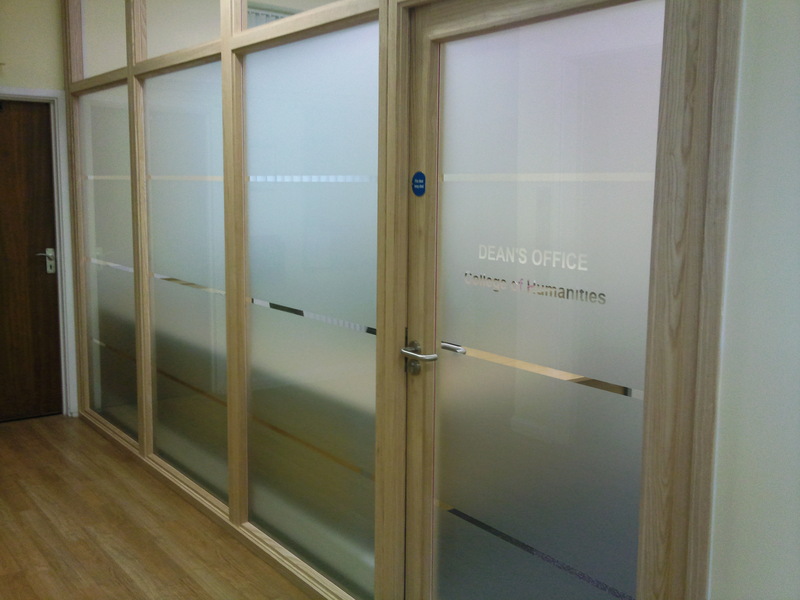 Two things you will need to ask yourself when wanting to create privacy with window films. Is it an external window to the outside world ? Or, is it a window dividing two internal rooms ? If you want to prevent people seeing into the building through the glazing, you could apply solar reflective window film or frosted opaque film. For ‘external windows’, solar reflective film can give you ‘one way’ vision during daylight hours, allowing you to see out but blocking the vision of those who wish to see in. Remember though, this will only work if the outside light is stronger than inside. At night or when the light levels change, say around 4pm in December, the internal lighting acts as the sun making the internal surface of the film more reflective and harder to see to the outside world. We can limit this internal reflectancy by applying a silver/smoked internal finish film (Dual range). If you’re not worried about looking out, then a frosted film will also do the job of providing privacy both ways, day and night. The frosted film will allow around 70% natural light through keeping the room feeling bright. However, if you want to achieve privacy through internally glazed partitioned rooms or room to room windows, then the common answer would be to use frosted film. As above it allows natural light to pass through but gives adequate privacy to both parties either side of the glass. If you didn’t want to block the privacy completely then a design or pattern of shapes could be applied to the glass to partially obscure the view. The use of solar reflective films is ‘rarely’ effective in this situation as you need to produce a light level difference of 70%/30% or 80%/20% ratio split, light to dark to create reflectancy on the brighter side of the glass. If it’s office space either side of the glass, it’s fair to say that the light levels would be balanced allowing both parties to see each other. Balanced natural or artificial light areas benefit better from having a frosted film applied. It comes in a variety of colours, patterns and finishes.